Our #1 selling jam is made from sweet red peppers. 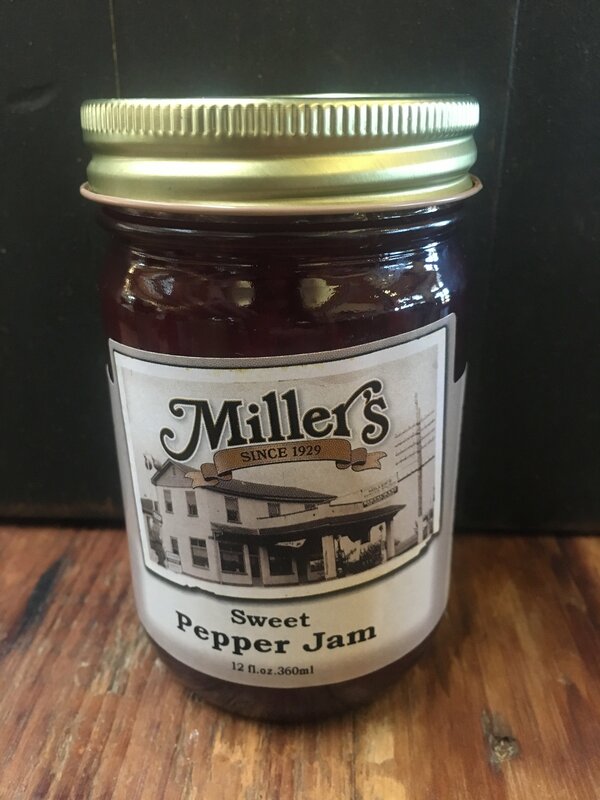 This jam is great served over cream cheese, an appetizer locally known as Amish Caviar. It is also great as a dipping sauce for chicken nuggets, in a vinaigrette or as a glaze for pork or chicken. Place cream cheese block on dish. Spoon the sweet pepper jam on top of the cream cheese.